We believe in Ethical Fashion, in supporting artisans to get out of poverty race and to reach a better standard of living. We trust that together as a community we can reach this goal. Our profit goes back to benefit Education and Healthcare funds for the community of artisans in small villages in Indonesia. 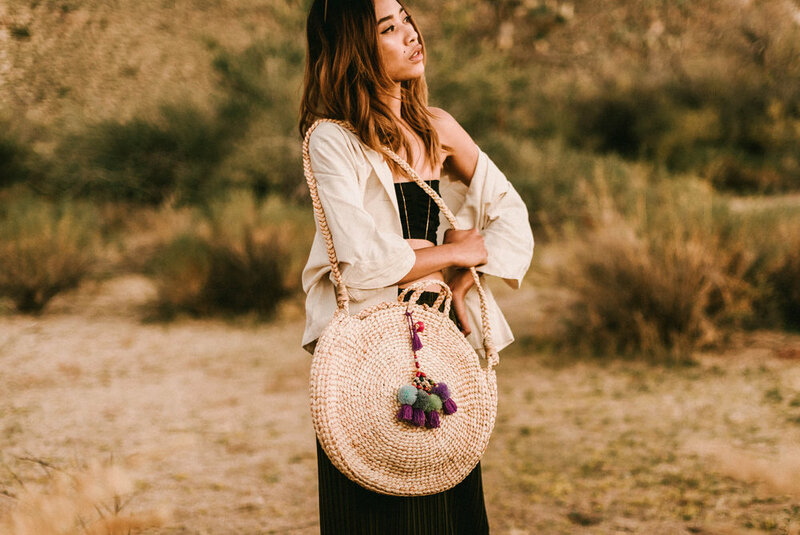 Come hang out with us at our pop-up events where we introduce you to our Indonesian culture, have a taste of our (vegan) cuisine and gorgeous fair trade fashion accessories made in small batches by talented Indonesian artisans. Can’t wait for pop-up? Check out our showroom at the Indonesia Trade Promotion Center-LA, located in the heart of Korea Town (by Line hotel) at 3457 Wilshire Blvd, Los Angeles, CA. We serve Indonesian coffee and healthy-delicious coconut water while you shop!